There are certain things that the average home cook just doesn’t make from scratch, and pasta is definitely one of them. 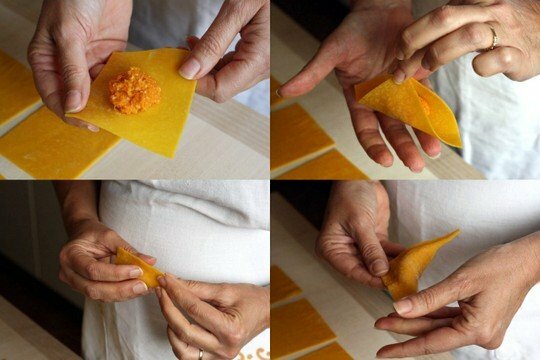 I remember the day I saw an episode of Top Chef where one of the contestants whipped up homemade pasta and a gorgeous sauce in the 30 minute challenge. Their pasta ingredients? Nothing more than flour and eggs. 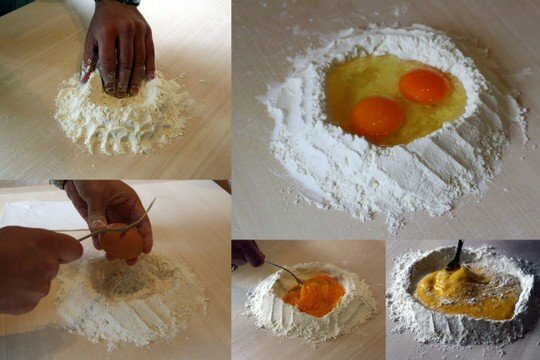 Can you believe that fresh pasta is nothing more than flour and eggs!? We arrived to Maribel’s home bright and early on a Saturday morning in Bologna, excited to begin our discoveries in the food capital of Italy. As we entered her lovely kitchen, the first thing I noticed was the size of her refrigerator. It came up to my shoulder and told me one important thing– in Maribel’s house, food was fresh. I smiled, knowing we were in for quite the meal. For the first time in many years, I didn’t cook anything while in the kitchen— I watched. 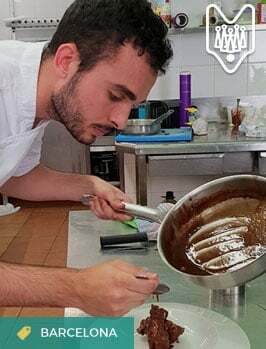 It was a surprisingly gratifying experience to see my husband follow Maribel’s careful instructions (and hopefully he’ll be able to repeat his success back at home). 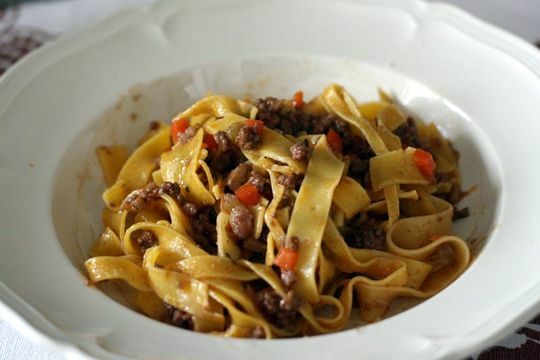 Maribel offers a multitude of mouthwatering cooking classes on her website, Taste of Italy, but we had to choose the classic Tagliatelle al Ragu Bolognese and giant tortelloni stuffed with roasted pumpkin, freshly ground nutmeg, and Parmigiano cheese. My mouth still waters at the memory. 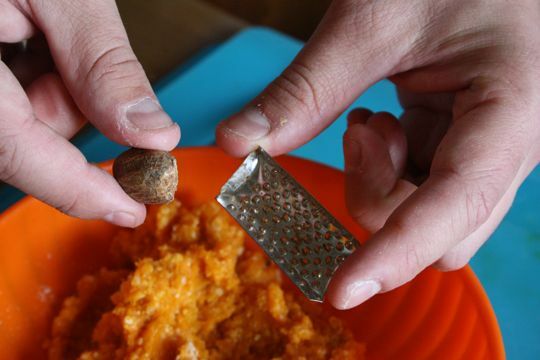 Freshly ground nutmeg enhanced our pumpkin and parmesan filling. Over the course of the three hour class Ale worked hard and everything was done by hand. The magical pasta machine I had assumed we’d be using didn’t exist in Maribel’s kitchen, and I was fascinated to learn that true “homemade” pasta would never be machine cut– even if you make homemade pasta dough it needs to be hand rolled and cut as well to truly be considered pasta fatta a mano. The whole process was beautiful and Ale was able to do just about everything on his own, with Maribel always there to prevent disaster. A simple tear or two in the dough was enough to threaten our lunch. There were a couple of critical moments when we feared we’d leave hungry, but everything turned out in the end. 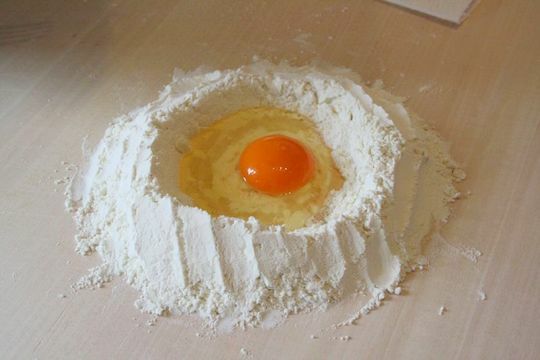 Did you know that in Italy there are special eggs sold specifically to make pasta? They have bright orange yolks and are super fresh! 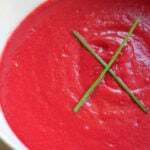 Using soft wheat flour such as cake flour allows the dough to stretch. Depending on the day’s humidity, the temperature of your hands, and the temperature of the surface you’re working on, the dough will absorb more or less flour. Dough must rest 30 minutes before rolling out! 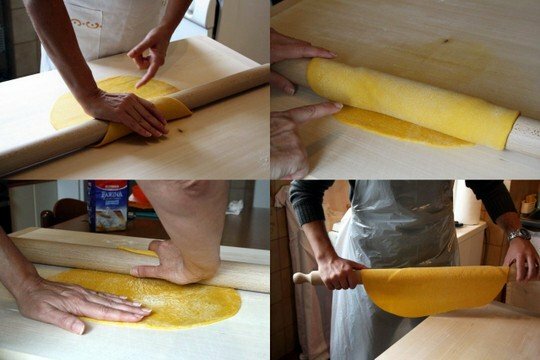 Maribel explains how to roll out the pasta dough. 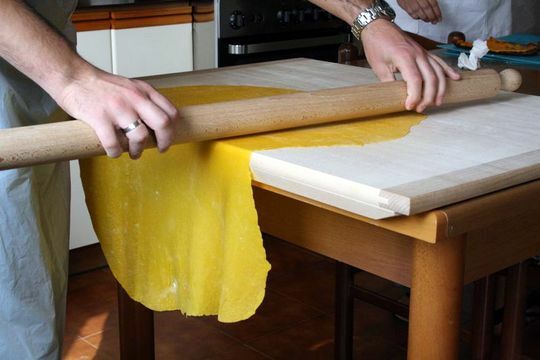 With this pasta dough we made both the tortelloni and tagliatelle. If you’re not careful, the dough could end up on the floor! 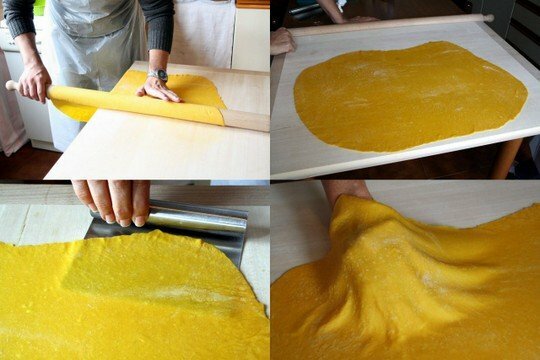 Rolling out the dough can take awhile– it needs to become so thin that it’s translucent. Three hours later we were tired and hungry, but very proud of our Ale’s work. 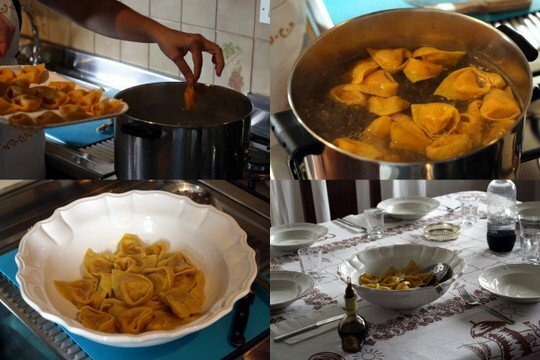 We formed the tortelloni with Maribel’s assistance and happily added them to a pot of boiling water. A few minutes later we were ready to eat. 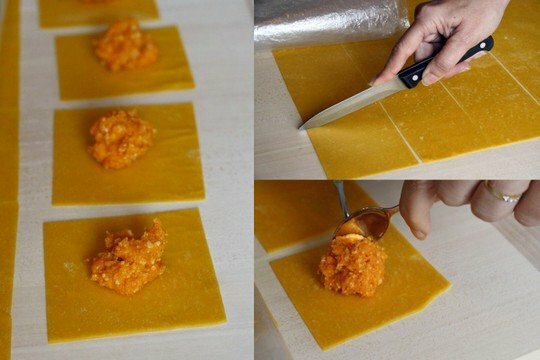 First, the dough is cut out into perfect squares and filled with a scoop of pumpkin. 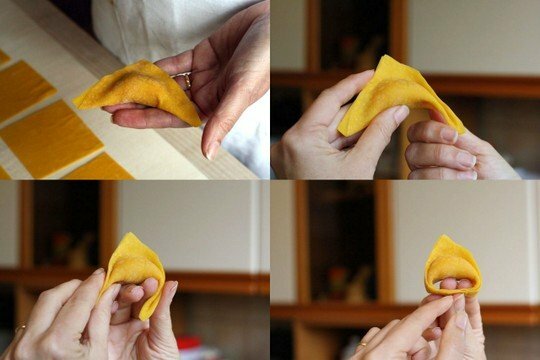 Now, you form and seal a triangle for the tortelloni. 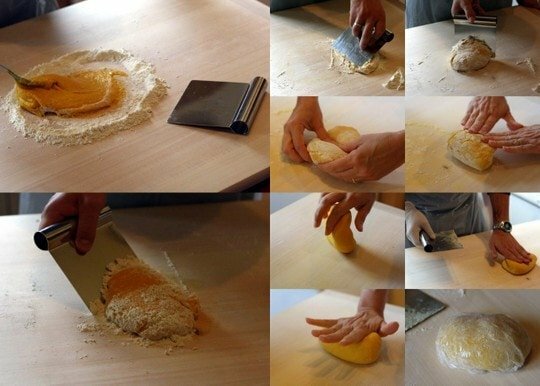 Next, fold and seal the ends to make the perfect tortelloni! Two perfect tortelloni (Maribel might have made those!). Beautiful homemade tortelloni ready to be cooked. The homemade tagliatelle was fun to make too. 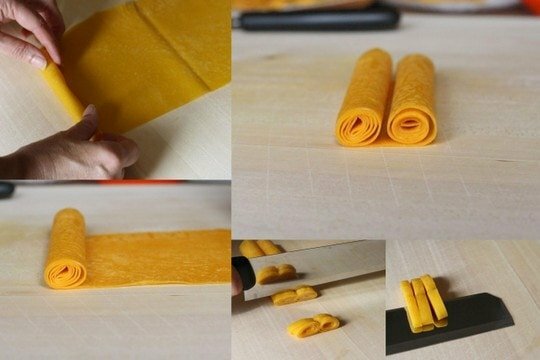 Just roll, cut, and extend over a knife. 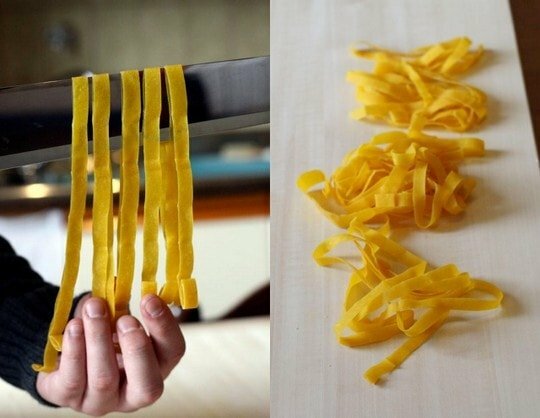 Extend the tagliatelle and make little nests. The tortelloni cooked in boiling water for a few minutes and were soon ready to eat. 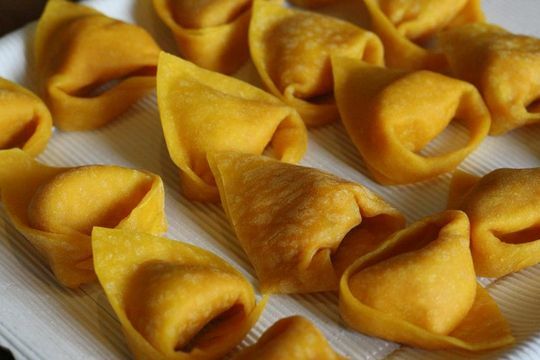 The tortelloni were simply spectacular. With a dusting of grated parmesan cheese on top, I was in food heaven. Maribel told us that most people eat about five as a first plate, but we had seven and only refused seconds because the tagliatelle was coming. 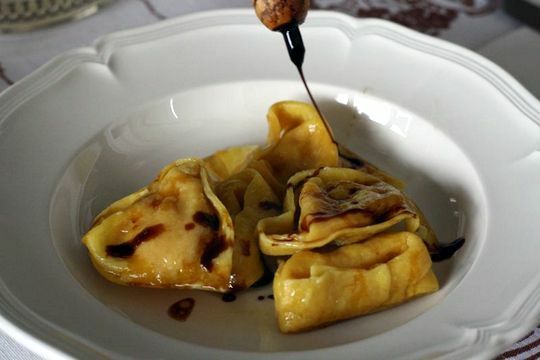 Homemade tortelloni with butter and sage and dressed with 25 year old balsamic vinegar. The homemade tagliatelle was also incredible. Instead of rejecting the sauce like your average box of Barilla pasta does, it absorbed the ragú and clung to the ground meat. 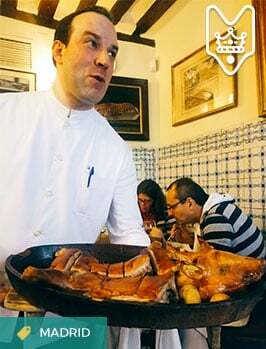 It was fantastic, and I only hope we’ll be able to recreate it here in Madrid. Homemade tagliatelle with a true Bolognese ragu. We finished our meal with a steaming espresso and some of the best white grapes I’ve ever had. Full and exhausted, Maribel and her husband made sure to give us restaurant suggestions and directions before we made our way over to our hotel. We rolled out of her house and couldn’t stop smiling. Maribel’s pasta making class was my first experience taking a cooking class while traveling, and it is undoubtedly something I will do again and again. 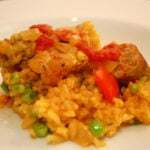 Having someone with such in-depth knowledge of a foreign cuisine is invaluable, and makes for a fantastic experience and an even better meal. 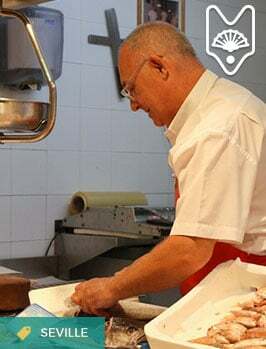 If you are visiting Bologna I would highly recommend getting in touch with Maribel about a cooking class. Make sure to contact her early on, as her classes generally sell out far in advance. And while I know that all of her classes are all tempting, the pasta making ones get my vote for fun, beautiful, and delicious! Have you ever taken a cooking class while traveling? Ale tooks like a pro! what gorgeous photos, too! Thank you! It was so nice to have him cooking for a change! This sounds amazing! I’ve been wanting to do a cooking class since I’ve lived in Italy. Maybe I will look Maribel up! You should definitely take some classes while there Jen! 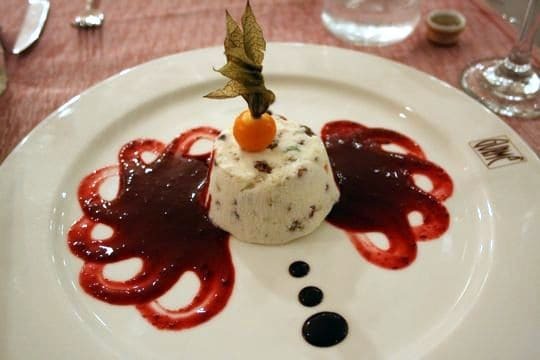 Bologna is a great place to learn all about food and Maribel was the perfect teacher. It looks so difficult! I would love to try that someday. I definitely don’t have enough counter space in my kitchen here to do anything like that. Love the photo layouts. Looks divine! Ohhh maybe I’ll fly up to join you! Wow, Lauren what a beautifully written (and well accounted) article. Love the photos and yes, the food was pretty amazing too. Oh by the way, I made only one of those tortelloni – I believe Ale made the other one! 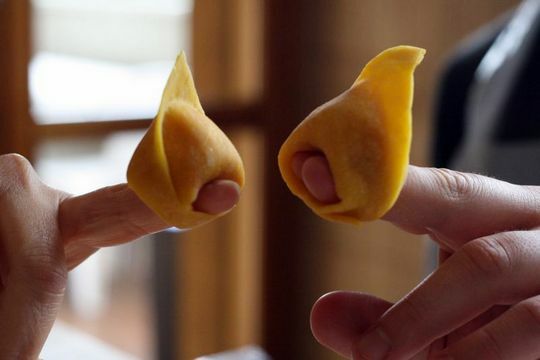 Next time we can cook with Parmigiano Reggiano Cheese or make colored pasta, what do you think? Brings back the memories writing my own post did. Were you in Mirabel’s house? My class was at Martina’s. She is an exceptional teacher. 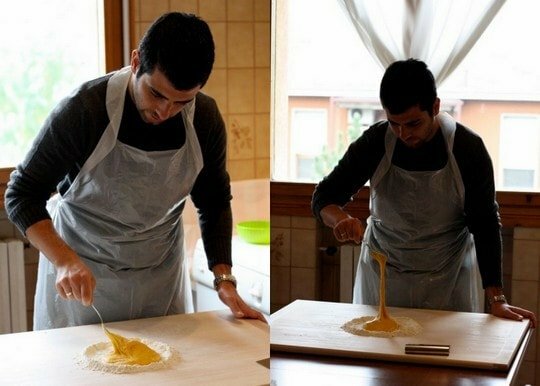 No one would get a better pasta making experience anywhere! I did the same things you did with Martina – read that post, too – but over a few more days, maybe: Parmesan farm – incredible; truffled pasta – incredible; lunch coffee place – memorable; different Balsamic house – all in all – a DREAMY TIME! Is this a business you do in Spain? I take tours from here – but haven’t yet. 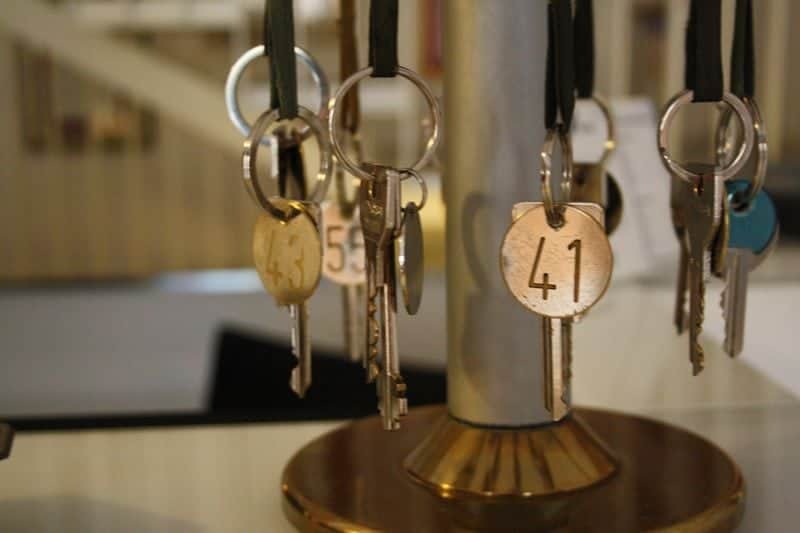 Formed my business, did my research – last year – so am getting going now!